Sand Lake National Wildlife Refuge - The view from our back yard. We are located right across the road from the Sand Lake National Wildlife Refuge, designated a Wetland of International Importance. 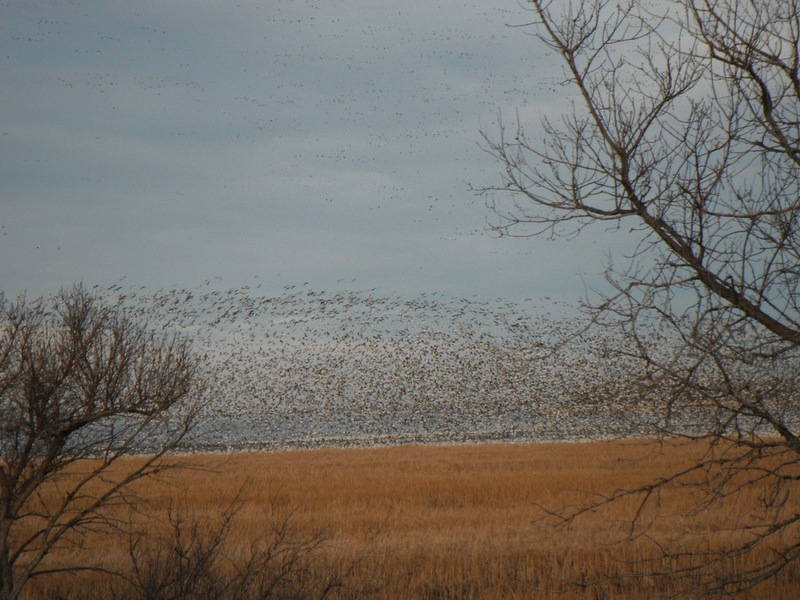 During the goose migration each fall there may be up to 500,000 geese on the lake, just across from our house. A great place to raise puppies! Click HERE for more photos and information.